The Philosopher Seeds seed bank opened its doors in 2008, aiming to offer cannabis strains that were bred with love and dedication over commercial goals. Founded by a collective of breeders who had been growing since the mid-90's, they have pooled their knowledge together to offer new varieties and revitialised classics on a regular basis. They often collaborate with other seed banks and breeders who share a similar philosophy to themselves, such as Reggae Seeds, so be sure to keep an eye out for the unique and collectible results of their work! Black Bomb is the perfect choice for patients suffering from insomnia, muscular tension or chronic backache. This strain has a good resistance to pests and short flowering period, making it very suitable for impatient and novice growers. The high is truly the embodiment of an Indica effect - very relaxing and sedating. Very good resin production, great for extract production. Tropimango is the result of crossing Big Skunk Korean and Jack Herer and the name is no accident - the aroma emanated by the end product and the experience for the palate is that of tropical fruits. Perfectly tailored for the SOG technique, yielding 400-450g/m². Good choice for patients in need for relaxation and an easy-going feeling. A cannabis revolution is afoot! The decadent Amnesia Haze has been infused with Skunk to bolster its overall resilience. This strain quickly fosters a stalwart supply of sparkly gold buds. Amnesika 2.0's invigorating Sativa buzz is hyper and engaging. The Early Maroc by Philosopher Seeds is a pure sativa strain with a sweet aroma you won't be able to resist. It’s an easy to grow plant that thrives outdoors even in low nutrient soils. If you are looking for quaint, fresh cannabis species, for sure you'll be interested in Easy Haze. 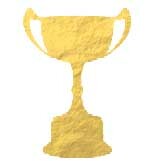 The Easy Haze is a third place winner of Cannabis Champions Cup 2011 in the category of Resins. Its good features are result of crossbreed between indica - dominant Yumbolt and Kali Mist, which Sativa derivative effects are well known around the world. Double pleasure from the Philosopher Seeds - a twopack including 2 feminized seeds of Amnesika 2.0 and two feminized Easy Haze seeds. The feel good factor was the defining criteria for this selection - thus you get a pure Sativa and a strongly Sativa dominant varieties. Great daytime smokes. The Philopher Seeds mix of feminized outdoor strains is an interesting proposal for those growers that like to try several different varieties of cannabis in one season. This selection contains 2 feminized seeds of each Early Maroc, Easy Haze and Black Bomb. The Philosopher Seeds breeders are certainly proud of their work on their feminized Fruity Jack. A cross breed between the Spannabis 2012 award winner Respect #13 with a male Jack the Ripper, this top quality marijuana is a 65% Sativa dominant plant, yet with some Indica structure traits. The Philosopher Seeds' Sweet Love (feminized), as it name suggests is made from the heart of Juanita La Lagrimosa in combination with vigorous Tropimango. You will fall in love with this 60% Sativa and 40% Indica seducing properties. The Philosopher Seeds feminized SugarPop is an easy to grow hybrid with a balanced genetics that would suit almost every marijuana afficionado's taste. A subtle aroma makes it a perfect choice for stealth growers, while yields are decent and easy to achieve. SugarPop has a flowering time of 55-65 days. It took seven generations to properly combine the genes of ‘White Russian’ with ‘Lowryder’ in order to produce a stable, autoflowering strain recognized as ‘White Yoda Auto’. Since White Russian is a cross of AK-47 and White Widow, growers are expected to harvest high quality, extremely resinous buds, which are ready to cut after 75 to 90 days, counting from the moment of seed germination. Fraggle Skunk Auto is a result of 7 generations breeding process and a cross between an old-school Super Skunk from 1999 and Lowryder. Enjoy the best Skunk genetics but faster! Outdoors, the plant should be ready for harvesting after 70 to 90 days after planting the seedling. Created by Old School Genetics for Philosopher Seeds, Sleepy Yoda Auto combines the potency of a White Yoda Auto and a Northern Lights to give us a potent, yet fast, easy and profit-yielding strain. Her great aroma and powerful high make Sleepy Yoda Auto an ideal plant that helps with stress relief or if you simply want to chill and relax! Philosopher Seeds took an autoflowering variety of the legendary “Holland Cut” of Amnesia Haze and crossed her with a Juanita x Lowryder hybrid. Out comes a fantastic medicinal CBD-rich cannabis strain that is very easy to grow and delights with a perfect balance of THC and CBD. She will give a very pleasant effect of happiness and wellbeing. Lemon OG Candy by Philosopher Seeds doesn’t carry her name without good reason. This is an excellent tasting hybrid that impresses with some the best mouth-watering lemon and spicy haze flavours for a wonderful smoke experience. Her effect is awesome as well, mainly cerebral but mixed with fantastic relaxation, perfect for chilling. And did we mention she is very easy to grow as well? Philosopher Seeds set out to create a CBD-rich autoflowering version of their award-winning Cheesy Auto. 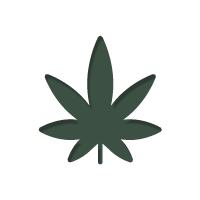 The result of this project is their Cheesy Auto CBD, which turned out a superb medicinal strain that grows easily everywhere and that is especially well-suited for guerrilla crops. Because of her compact size you can easily hide her from prying eyes. Heaven's Fruit is a heavenly gift with a high CBD production for medical Cannabis users. Even beginners in Cannabis rearing will enjoy this offspring of NY Diesel and Tropimango, for its resistance to pests is very high. The plants exhibit a vigorous growth and deliver 400-500g/m² after 60-65 days of flowering. Acquires purple hues during late flowering phase. Ever caught yourself wondering, which strain would be best for your indoor cultivation setup? The Philosopher Seeds indoor mix of its best cannabis varieties might very well be just the thing you have been looking for. Try Heaven's Fruit sativa dominant hybrid, potent indica dominant Black Bomb and the delicious, Indica dominant Tropimango! Get yourself a treat and try those three great autoflowering strains that produce top quality marijuana in barely 2 months. A selection of Indica and Sativa hybrids crossed with the Siberian and Canadian genetics that allow those plants to be ready for harvest in a very short time. Perfect for inpatient, inexperienced or commercial growers. Philosopher Seeds’ latest F1 hybrid doesn’t carry her name for nothing: This massively potent indica hybrid hits even seasoned cannabis smokers like a hammer, thanks to her 25% THC. Her potency is only topped by her awesome flavour, excellent growth qualities, and yield. She does well under any growing conditions, so you don't need to be an expert to achieve great results! Philosopher Seeds proudly presents their own version of one of the most acclaimed cannabis strains of all time, the world-famous and ultra-potent Gorilla Glue #4. Perfect for outdoor and guerrilla growing, you can harvest this super fast variant of the legend as early as late-August. What’s more, Early Gorilla retains all the amazing traits of the original! Philosopher Seeds is a Spanish seedbank that has made it their goal to produce and revitalise both popular strains, and old forgotten classics. They have been creating new seeds for the market since 2008, but their history and experience goes much further back. They were founded thanks to a small group of pioneering growers coming together to share the best examples of their work, and pool their experience together to help and support each other in their quest to breed new and interesting strains of cannabis. It has resulted in Philosopher Seeds becoming something of a collective, with each breeder having an equal say on how every strain is developed. This cooperation has been going on since the mid 90’s, and has allowed them to select, cross, stabilise and hone a whole line of premier quality strains. Having got to know the guys from Philosopher Seeds, we understand the passion behind their work. To us here at Zamnesia, Philosopher Seeds is all about engaging with the cannabis community, and keeping it alive, fresh and invigorated. 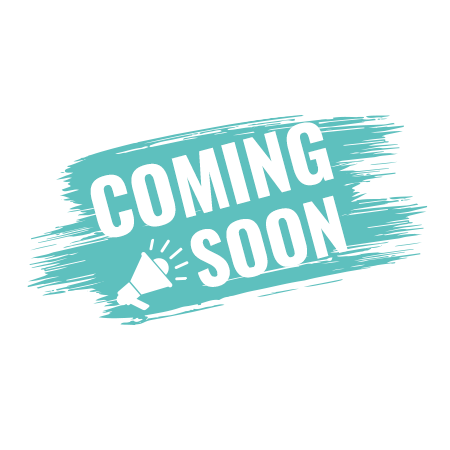 By striving to continually improve upon old classics, as well as come up with new and exciting combinations that have never been seen before, Philosopher Seeds ensure the cannabis seed market never becomes stale for their fans. They exemplify the power of experimentation, and the willingness to do so. Philosopher Seeds have multiple lines of cannabis seeds within their catalogue, each encapsulating a different theme. The CLASSIC Line, as the name suggests, contains all of Philosopher Seeds’ tried and tested masterworks. All of which have years of dedicated breeding under their belt. The AUTO Line of cannabis seeds was created in conjunction with the famous Dr. Magnesio to produce some out of this world, 8th generation auto-hybrids. They are so stable that they are now being used as the base for philosopher Seeds’ future auto hybrids, so expect more greatness from this line sometime soon. Probably the most interesting line from the Philosopher Seeds catalogue, the GOLO Line of cannabis seeds has been created in conjunction with the breeders at Reggae Seeds - taking the best of both groups’ genetics, and see what can be produced. The main focus of this collaboration has been to produce new strains of cannabis with unrivalled tastes and aromas, but the high CBD ratio of many of Reggae Seeds’ strains has resulted in hybrids that also hold a lot of potential medical value. It once again shows Philosopher Seeds’ willingness to engage with other breeders, and experiment with what is on offer. Philosopher seeds have continued their reputation for great quality right up to their seed packaging. Each pack of seeds comes in a secure protective metal tin to hold the seed capsules. The seed capsules themselves are sturdy, thick, and padded with a wedge of interior foam to ensure the cannabis seeds remain secure and safe. Each capsule is also filled with moisture absorbing balls, to help keep the seeds in a fresh and optimal condition as they are transported to you. 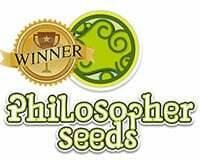 All cannabis strains from Philosopher Seeds are available in packs of 5 seeds. Their mix packs contain different strains and are available in packs of 4-12 seeds. All cannabis seeds from Philosopher Seeds are feminized. In the few years that Philosopher Seeds has been sharing their finely tuned and well-bred creations with the world, they have won some well-deserved awards. It has established them as a seedbank of pedigree, excellence, and thriving potential. Below are the award winning works of Philosopher Seeds. Black Bomb, as the name suggests, is explosive. And not just in effect either, Black Bomb offers growers high resilience, easy growth, generous yields, a two-month flowering time, and high versatility when it comes to more advanced growing techniques – making it well suited to both novice and veteran. The bud produced is extremely potent, with a high THC content that induces a relaxing, indica focused body stone. It also produces a lot of resin, making it ideal for hash production. The flavour of Black Bomb has both sweet and earthy elements, making it an instant classic, and favourite of those who prefer a more old school taste. Amnesika 2.0 is a sativa dominant beast that is well deserving of its award. It is the result of masterfully crossing Amnesia Haze with a Skunk, and offers new take on the traditional Haze Strain flavour – which is both nutty and sweet. The high is mainly cerebral in nature, motivating and energising, without overpowering – making it a great get-up-and-go strain. Despite being sativa dominant, Amnesika 2.0 has a flowering time of roughly eight weeks, and is extremely easy to grow. The only thing worth considering is space – being sativa dominant means the plant can get quite big! If you love sativas, then this is a champion to try. K13-Haze is a compact sativa dominant beauty, which, as the award suggests, is well suited to those who love high-quality resin. It is the result of breeding Yumbolt with Kali Mist, and brings the best of the two together. K13-Haze is particularly easy to grow, has a flowering time of roughly eight weeks, and can produce yields of up to 600g/m². When smoked, K13-Haze produces a tropical, citrus flavour, with incense undertones - which become stronger the longer K13-Haze is cured. In terms of effects, expect a head soaring sativa head rush that energises, uplifts, and focuses.